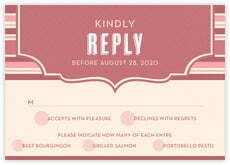 The wedding RSVP (Répondez s'il vous plait) card is one of the most important items in your wedding stationery suite. 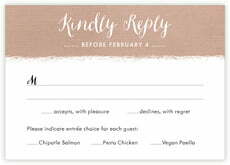 This card tells you how many people are coming to your wedding, so it is important to send it out at the right time and ask for its return with enough time to plan your table settings and adapt your venue to the correct size. 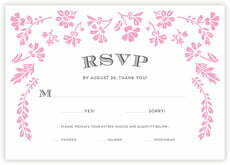 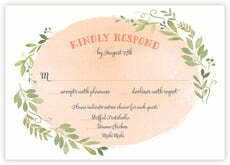 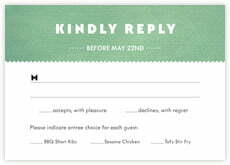 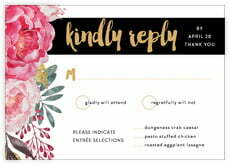 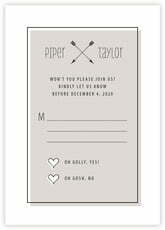 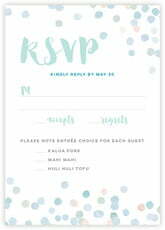 Usually, six to eight weeks before the wedding is a good time to send out the invitations—with the response card included. 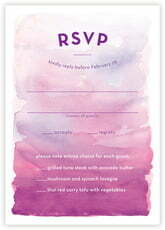 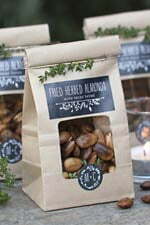 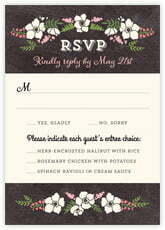 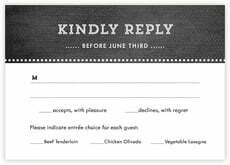 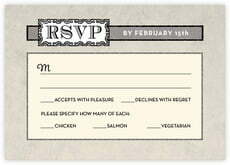 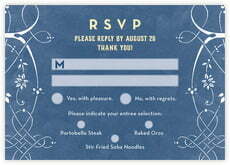 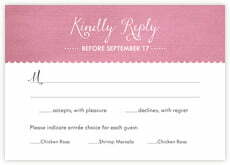 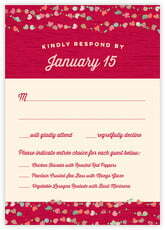 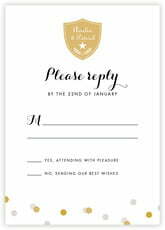 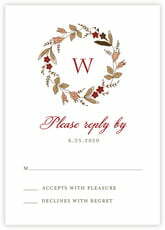 Ask your guests to return the wedding response card no later than two weeks before the big day. 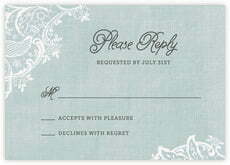 If yours is a destination wedding, you may ask for the response cards to come back up to three months in advance. 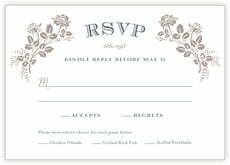 After all, your guests will know by that time if they have their plane tickets.